While Houston is mostly underwater from Hurricane Harvey that made landfall over the weekend, we are keeping our heads high and finding some purpose. Houstonians are going out of their way to save people, help clean up flood damage, and providing the necessities for their fellow neighbor. Similarly, you should find ways to keep your banker happy. They need certain things from you that only you can provide. One of the biggest ways you can keep your banker happy is by staying in compliance with your loan covenants. Debt covenants are used to protect the bank by implementing measures to ensure the bank gets paid at the end of the day. Business Dictionary defines debt compliance as “legal measures taken to ensure that borrowers repay their debts.” If you stay within the confines the bank has set, you most likely will not hear from the bank. But if you float between compliant and noncompliant or are simply noncompliant, you will face some consequences. Debt compliance is one of the best ways to keep your banker happy. Floating between debt compliance and noncompliance? If this is you, then you need to free up cash within your business soon. 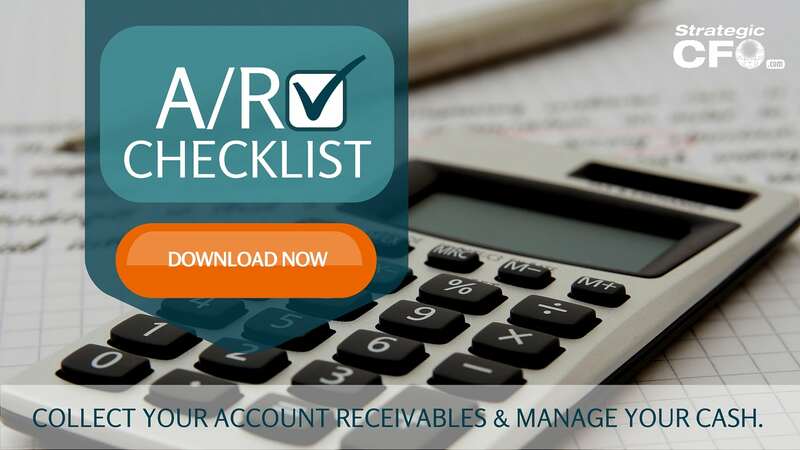 Download our A/R Checklist to effectively collect your accounts receivable and manage your cash! Not being debt compliant means that you have broken debt covenants. But what exactly does that mean? Your bank, in the worst-case scenario, will call your loan. If being noncompliant is not a pattern for your company, banks do not generally want to take this route. Instead, they will likely freeze your credit line and you will need to survive off only the cash flow generated from your company’s operations. Just like Houston prepared for the worst-case scenario with Hurricane Harvey, you have to prepare like that too because the worst case might be the reality. A client once told us that business was great. They tried to convince us that their Q1 numbers were looking good and would still allow them to have healthy debt coverage ratios. But their banker wasn’t so sure. Oftentimes in business, we look at just a sliver of information when we report the news – good or bad. But to protect themselves, the bank looks at a wide array of information. Their banker wanted more information and financials to ensure his confidence, even though the company reported reasonable Q1 numbers. Maybe you are like our client, and you are experiencing misplaced pressure from your banker, or worse, perhaps your banker is putting pressure on you for good reason. As financial consultants who facilitate the relationship between a company and its banker every day, we know this dynamic very well. There are a couple things that you can do to keep your banker happy. These include considering your banker’s perspective, asking what they need, getting busy, and consistently checking in with your banker. Perspective requires effective communication skills and the ability to listen to what they are seeing from their viewpoint, not yours. If your local economy is encountering uncertainty, your banker is going to be more sensitive not just to your business, but to his or her entire portfolio. Even if your business is doing well, he or she may be facing pressure due to funds lent to other companies that are suffering. It’s critical to provide your banker with the confidence that your business is either (1) a-okay or (2) prepared to get better. How can you best do this? Provide all the information they need to know where you are financially. Then, provide a plan to improve your business moving forward, even if your numbers are looking great. This extra step helps ease the stress and pressure the banker is facing. By going this extra step, you will be able to build the trust of your banker. Let your banker know that you are prepared to provide cash flow projections, debt ratios, and more. Ask what they need from you to feel confident. You can do this by asking the following question, “what do you need to feel good about our company?” But the key is you have to listen to what they need from you. Oftentimes, businessmen and women think that asking the question will result in some brownie points. Listen carefully to what factors in your business scare them, encourage them, etc. Remember, do not assume anything. For example, a client once went to the bank to discover that it was really uncomfortable with his lack of reporting. This lack of consistent and accurate data required the bank to just take the owner’s word for the numbers. But in reality, the owner didn’t have a grasp on his business. We partnered together to create a more streamlined accounting and reporting process. As a result, the bank felt a lot more comfortable with them and were even flexible in crunch times. The best thing you can provide your banker is evidence that the bank’s money will be paid back. You provide this assurance with a plan. We suggest you provide dynamic cash flow projections to your banker. (Keep in mind, this is not easy). Bullet point the operational strategies that the company is using to make these projections a reality. Also include some financial ratios like the company’s debt service coverage ratio. Collect your accounts receivable to increase the amount of cash in your business. If you need help with cash management, download our A/R Checklist here. Be sure to follow-up with your banker once you have provided all this information. 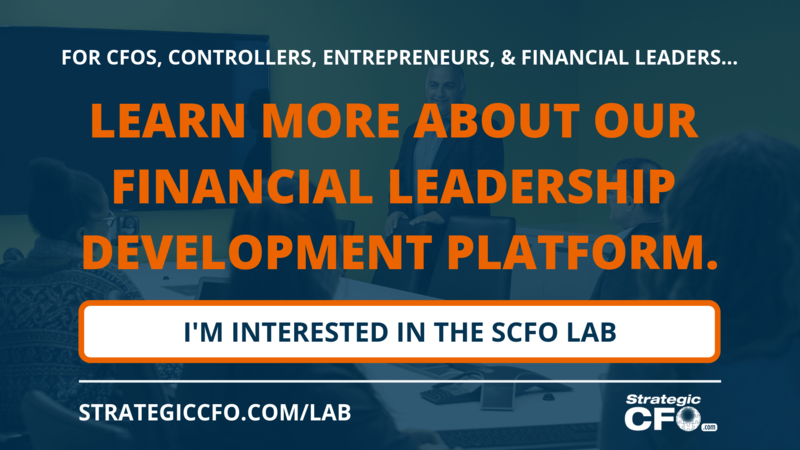 Let him or her know how the company is on track (or not) with the projections and what measures you are taking to ensure the company’s financial health. Generally speaking, if you follow-up before they ask for more information, your banker will feel safe about your account. Just like in marketing or sales, follow-up is key for success. Your banker’s reputation depends on your company’s success. Their job is on the line just like your company needs the lent cash to operate. Help keep their heads well above the water (last Hurricane Harvey reference, I promise). For more ways to add value to your company, download your free A/R Checklist to see how simple changes in your A/R process can free up a significant amount of cash.